Back in the fall my fiancée and I went to a Greek food festival at a local church, where we sampled some lovely homemade baklava ice cream. It was quite fantastic! Really! 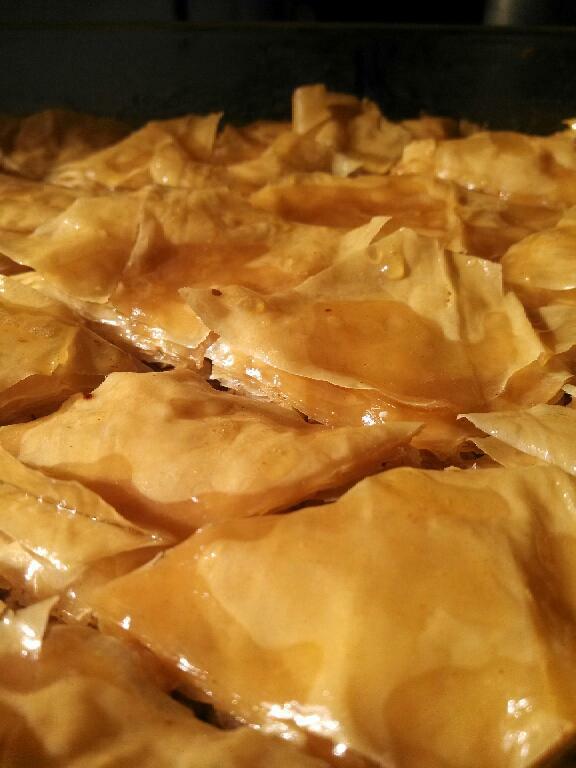 Thus the infatuation with possibly making baklava. Fast forward to February, 2014, a rough month, an icy month a bitter cold month! Also a surprise! Upon arriving in the evening after a long Monday, her house was filled with the most wonderful, round nutty spicy bakery aroma! As she had made baklava! Wow what an aroma it makes. I am not so experienced in baklava, as I have felt that filo dough can seem like toasted paper to me. But that magic honeyed, lemon cinnamon syrup combined with the toasted walnuts ( a few pecans were required to make up total amount) left to soak in creates magic. The filo still can be, papery to me, but as the syrup starts to soak in the layers, fantastich! It was the first attempt. We think we might try some modifications, but I declared it was delicious and so… a success!! the info and struck out on her own! Following her idea of what would be good, I’m bragging, but I am a proud fiancé! Comment and ask if you are interested in recipe info. That’s it on the home hearth! This entry was posted in Dessert! 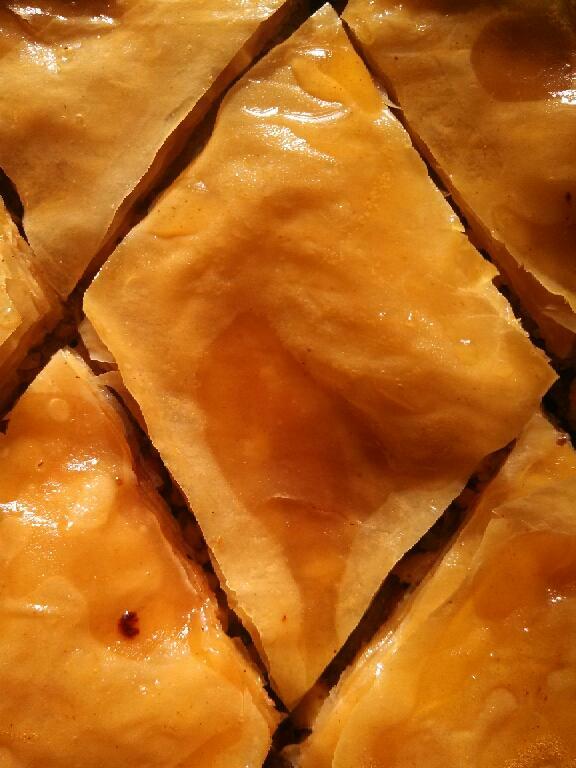 and tagged Baklava, Greek. Bookmark the permalink.